A hundred years ago, any soapbox orator who called for women’s suffrage, laws protecting the environment, an end to lynching, or a federal minimum wage was considered a utopian dreamer or a dangerous socialist. Now we take these ideas for granted— because the radical ideas of one generation are often the common sense of the next. We all stand on the shoulders of earlier generations of radicals and reformers who challenged the status quo of their day. Unfortunately, most Americans know little of this progressive history. It isn’t taught in most high schools. You can’t find it on the major television networks. In popular media, the most persistent interpreter of America’s radical past is Glenn Beck, who teaches viewers a wildly inaccurate history of unions, civil rights, and the American Left. 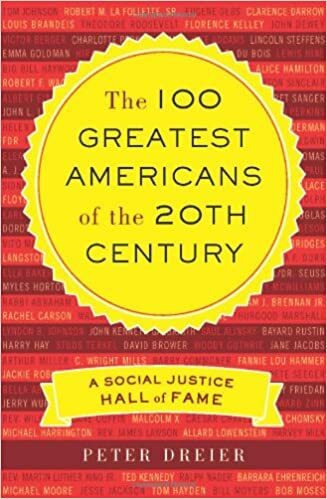 The 100 Greatest Americans of the 20th Century, a colorful and witty history of the most influential progressive leaders of the twentieth century and beyond, is the perfect antidote.